Usually when CEOs are suddenly terminated, one thinks the individual involved did something inappropriate. Neither appears to be the case with Keith Meyer, the former CEO. His receipt of a generous bonus just a few days earlier may have rankled some, but this was provided for in his contract. My own contacts, which include people in Japan’s government that watch our gas project, now wonder how stable a partner Alaska will be in a multibillion-dollar deal. Our competitors, which now include Shell, with its big Kitimat, B.C. LNG export project, will be quick to take advantage of this. Gov. Mike Dunleavy understandably wants to make changes in AGDC and put his imprint on the project, as former Gov. Bill Walker did before him, and until this happened, Dunleavy was taking a positive, measured approach. He appeared to be following former Gov. Sean Parnell’s advice that Alaska LNG be allowed to complete its work toward regulatory approvals and to get customers. And by the way, the state has about $500 million invested in this, and the producers an equal amount, at least. I’m certain Dunleavy didn’t intend things to happen in a way that would damage our marketing efforts. I suspect it happened because of the new AGDC’s board’s inexperience and a lack of understanding of Alaska’s tenuous position in the market. Bill Cox, a retired Anchorage radiologist and old Asia hand, is no fan of AGDC’s effort to court Chinese investment and no admirer of Meyer. But he thinks AGDC’s board flubbed it. "Personal relationships are very important in dealing with the Asians and (now) over a year's worth of these relationships developed by Keith just went out the window and cannot be recovered,” Cox told me in an e-mail. “Is the board really that ignorant, or do they just realize the end is in sight for the China deal?" One good thing is that AGDC’s board named Joe Dubler as interim CEO. Dubler previously worked with Alaska LNG, is familiar with the project and has a strong finance background. However, the governor should move promptly to correct any reputation damage and reassure potential buyers that Alaska can be a stable and reliable partner. Changes in boards of state entities are not unusual when the political wheel turns but abrupt dismissals of senior management that potential buyers in China and Japan have been dealing with is quite another thing in international business. There are many, including the governor and myself, who are skeptical of the state leading this project and prefer it led by private industry. But let’s remember that the three North Slope producers, who led this project through it preliminary engineering with the state as a partner, stepped aside in 2016 when energy prices took a dive. Basically, the companies turned over the keys and encouraged the state to continue critical work toward the regulatory approvals. Since then, the companies have been very supportive of the state’s initiative. Two of the three Slope producers, BP and ExxonMobil, have agreed on terms under which they would commit gas to the project. Those, plus the state’s own royalty share of gas, gives Alaska LNG the assured supply it needs. In all the years Alaskans have pursued a big gas project, this is the first time this has happened. If the deal for Chinese companies to purchase LNG works out (most people think the trade fight between the U.S. and China will resolve itself) or there are other buyers and the project moves forward, I believe the three North Slope producers will be involved in some way, if for no other reason than to ensure proper construction. In that sense, AGDC’s current role as project lead could be viewed as just a phase. 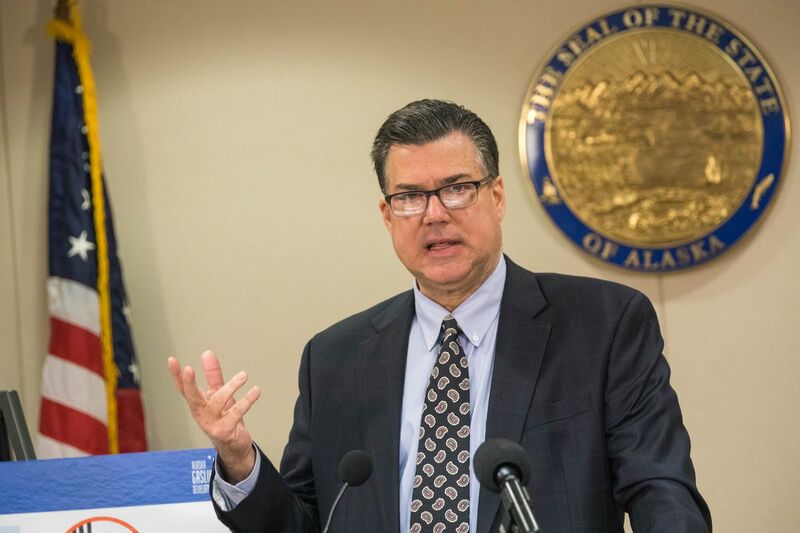 The governor can probably undo some of the damage Meyer’s firing has caused, but this also illustrates a deeper issue that affects not only AGDC but also other important institutions, including the Alaska Permanent Fund Corporation. For many boards, an incoming governor can change the entire membership, reshaping policy. For some state entities this is okay because a new governor needs to put his or her stamp on policy, for example for economic development or energy, that are focused internally. But state corporations such as AGDC or the Permanent Fund Corporation are external and they need to be seen as stable, not swinging in the political cycle. We get around this with regulatory agencies like the Regulatory Commission of Alaska and the Alaska Oil and Gas Conservation Commission by having members with staggered terms so no one governor can wipe out an entire board, and there is continuity that builds confidence. We should do the same for AGDC and the Permanent Fund Corporation. This is not really about Keith Meyer being fired. Let’s not feel sorry for Meyer – he got his parachute. It’s about gaining the confidence of the market that Alaska is competent, and that we won’t become another Venezuela. Tim Bradner is copublisher of Alaska Legislative Digest and is the visiting Atwood Chair of Journalism at University of Alaska Anchorage.